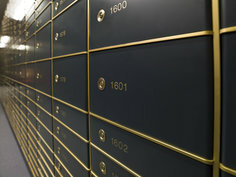 Clients of Unique Estate Law have the option to store their documents online using Legal Vault. If you enroll in Legal Vault, you will receive a wallet card that shows you have executed a valid medical directive. The card also provides hospital personnel with a username and password that will allow them to access your medical directive and other medical information (as stored by you) in order to immediately notify your medical agent. Further, you may store all of your estate planning documents online with Legal Vault and provide someone with postmortem access. This means that another will have full access to any documents you have uploaded to the site if anything happens to you. Your surviviors will not have to wonder whether you executed a will, or any other estate planning documents. But, keep in mind that online storage “safes” may be an excellent back-up, but you must still find a secure place to store the paper originals. By law, Minnesota courts provide a service allowing you to store your will with them for a nominal fee (the current fee for Hennepin County is $27.00). After death, your surviving family may obtain the will from the county by providing proof of death. This is a great way to store the will that can provide you with inexpensive peace of mind. Some of my senior clients have a trusted child hold their estate planning documents. Generally, they choose the child who is acting as their medical or financial agent to ensure that the proper person has the documents when needed. It is also common for people to store documents in a freezer bag in the freezer. While I don't recommend this approach, it can work so long as someone knows where they are located. As you can see, there are many different choices when it comes to storing your estate planning documents. The most important thing to remember is that your survivors must know you have estate planning documents and where you stored them. Please be sure to tell important people that you drafted a plan.